- to move freely within EU territory – to work freely – to exchange ideas – to travel freely throughout the EU – to seek diplomatic and consular protection – to raise questions to the committee of Petitions in the European Parliament – to go to the European ombudsman and try to find answers to their daily problems or any other answer they seek from the European Union’s institutions. 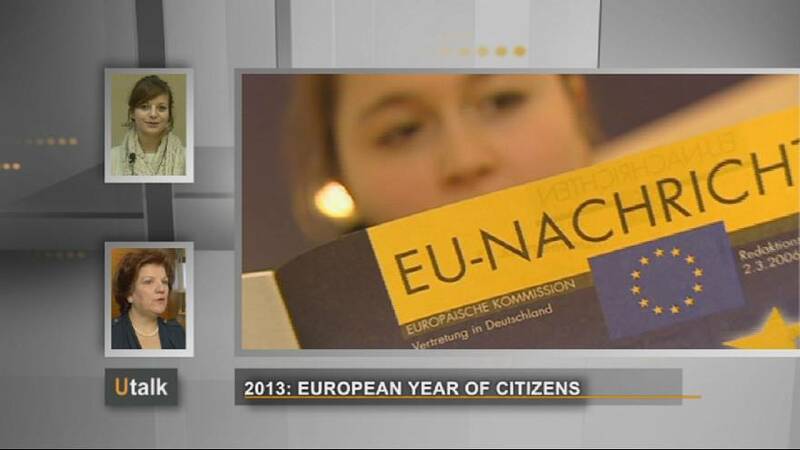 “I think we must make sure that this European Year of Citizens is not another celebratory year but that it is a year when definite practical action will be taken. “At times of social, political, and economic crisis, it’s very important for European citizens to be aware of these rights and to make use of them. If you would also like to ask a question on U-talk, please click on the button below.